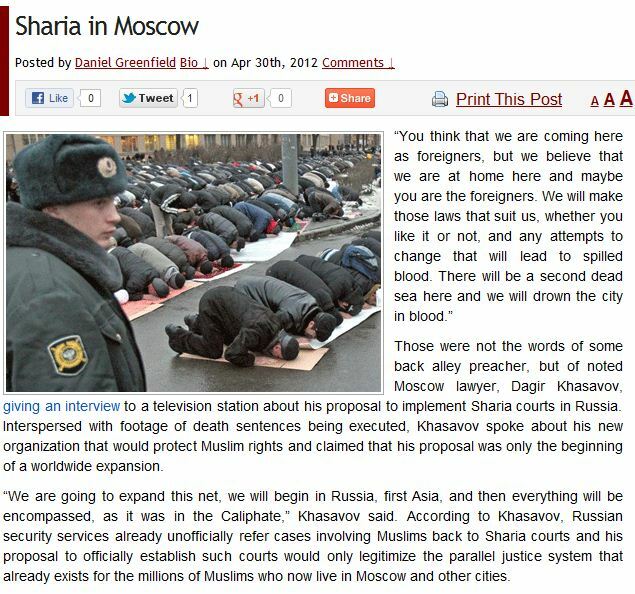 SHARIA IN MOSCOW…….. – The Tundra Tabloids……. Europe’s future if a drastic turn-a-round isn’t pursued. 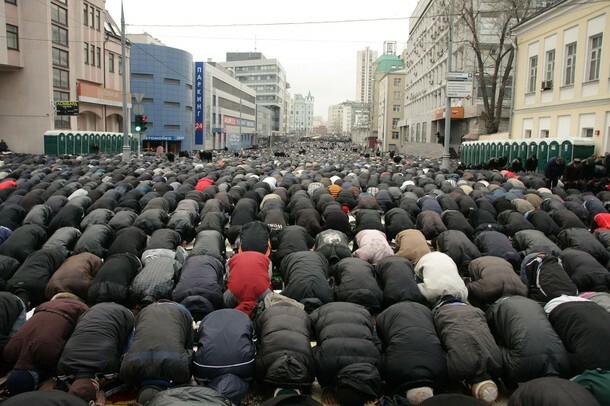 The nerve of those who dare label the Counterjihad as believing ”conspiracy theories”, when the evidence is in place sight and the leaders of Islamic movements are all too vocal of their intentions. I’m having nightmares of Islamic ICBM’s.